Ahhh, Balmain. You can't swing a cat through Balmain's Darling Street without hitting a café. So what do you do when there's so much to choose from? You could hit the newest hotspot, or the place with the coolest people. But if you're after a restaurant that's warm and inviting, without pretension, then Contessa Balmain is the place to head for. There's no disputing that Balmain is a strange mix of established families, growing families and people who like to pay $400 for their entire outfit, worn all together, all at once. But that's not what this down-to-earth diner is about. People are more than okay with the rowdy group of 8-year olds who've just walked in with a tired parent, overseeing their first post-sleepover breakfast. Similarly, people are just as okay with a rowdy group of 28-year-olds making a time for a catch-up over cocktails (or coffee, that's fine too). 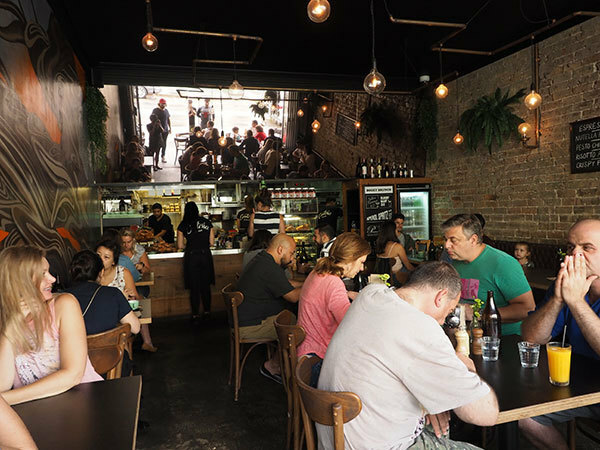 In a nutshell, Contessa Balmain caters for everyone, and if you're in the family way, this isn't the kind of place that frowns on family café time. 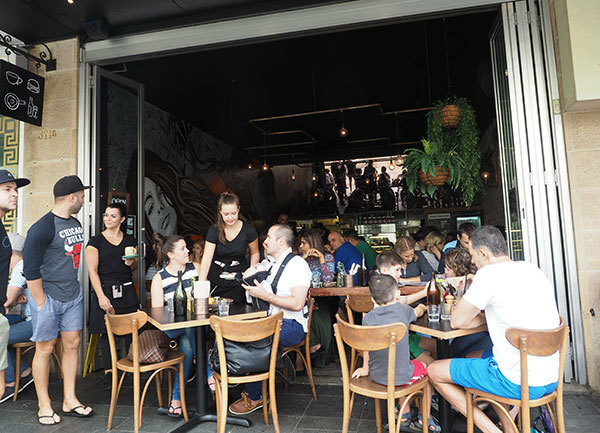 Head manager and owner Marco Adoncello explains that because Balmain is very popular with kids and families, so is his restaurant, and he's proud of the welcoming atmosphere he and his colleagues have cultivated. 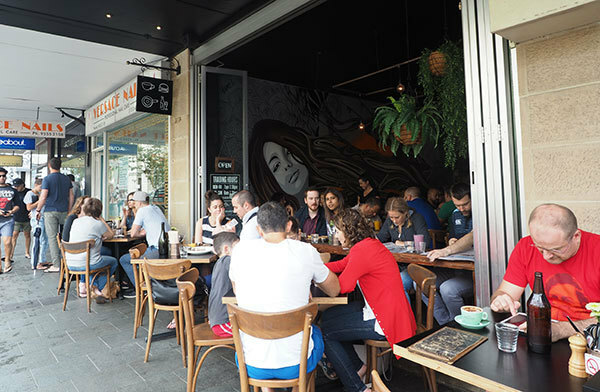 It's probably because Marco and his staff are the kind of people who have a leisurely chat with their customers, making small talk while you wait for your order, or chat amicably with a child excited for their plate to arrive. Marco has owned the business for 13 years, and has seen similar venues come and go, but Contessa Balmain's staying power lies in not just its menu, but also the people who work there. Décor is equally as enticing as the vibe. Tables spill onto the footpath and more take up the interior. There's a wall-to-ceiling mural on one side of the restaurant, and the kitchen, semi-open to the guests, allow the aroma of breakfast and lunch to waft through the dining area. The "something for everyone" theme that Contessa Balmain nurtures is in their beverages menus. A get-together with friends might call for a "Boozy Brunch" drink, which is pretty self-explanatory. Prices start from $8 for a glass of Prosecco, beer or wine. 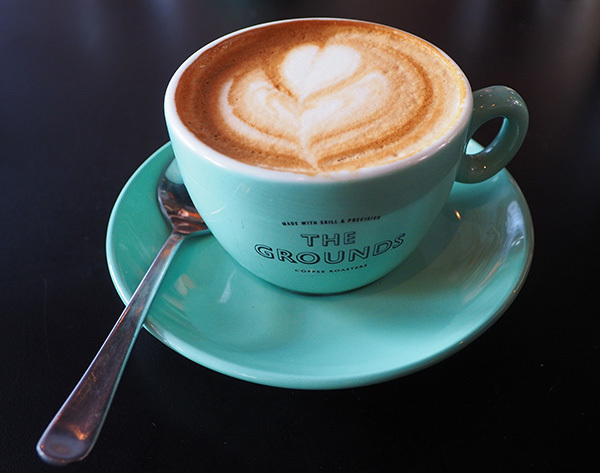 For something a little boozy, coffee by The Grounds Roasters is also available, although our barista that day was also pretty good. We had a cappuccino and a flat white; the regular size is $3.50. Just from beverages alone, it's clear that Contessa Balmain supports food producers in and around Sydney. There is also a wide selection of Tea Craft tea available. The bambinos need to try the Contessa Froggicino ($2). 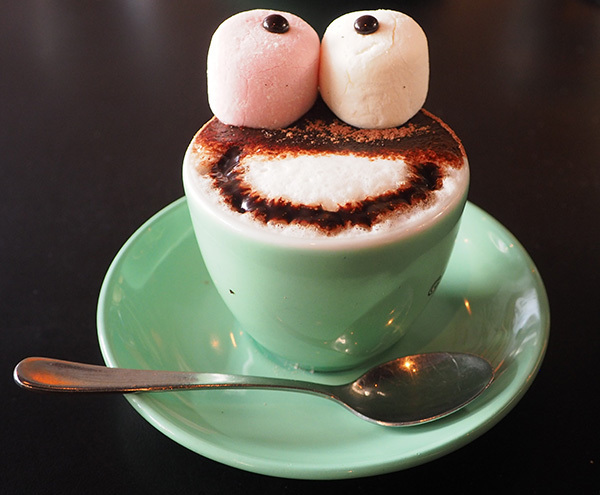 It's presented as an adorable frog face, with marshmallow eyes and a chocolate grin that may be swiped by mums and dads, too. Marco was right - he wants to cater for all kinds of customers, from the young to the young at heart. When you're ready for the meals, there's a mix of light and hearty dishes, even catering for gluten intolerances and vegetarian diets. Dishes were created with Marco's Italian heritage in mind, as well as influences from his travels, with a particular nod to American style dishes. There's an importance given to fresh produce, organic and free range is the order of the day, no matter what you decide to get. I've steered away from ordering chicken parmigiana in the past, but the Contessa Chicken Parmy ($18.50) we ordered was tasty and tender. Turning a humble, and easy to make, chicken parmigiana is no mean feat, but they manage it here. 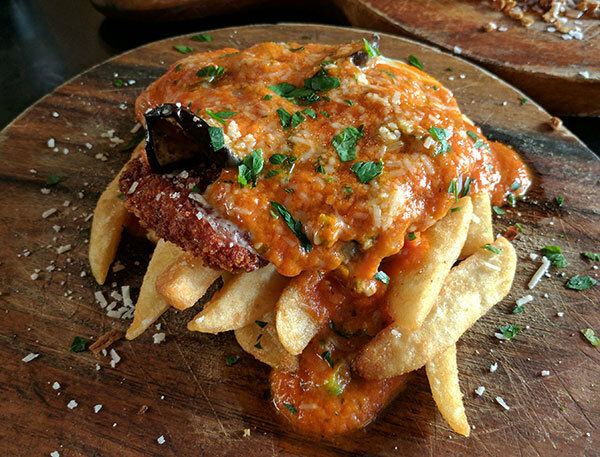 Made with a juicy breaded chicken cutlet piece (and I mean juicy), the meat was topped with grilled eggplant, provolone cheese and napoletana sauce, served with a side of fat fries. Another meaty dish to try is the Deluxe Cheeseburger ($19.50). This is a real deal kind of burger, without all brouhaha of the current burger craze. It's a classic burger done well, made with toasted brioche that contains an in-house beef patty, caramelised onion, American cheese and more in-house produce, this time, their tomato relish. 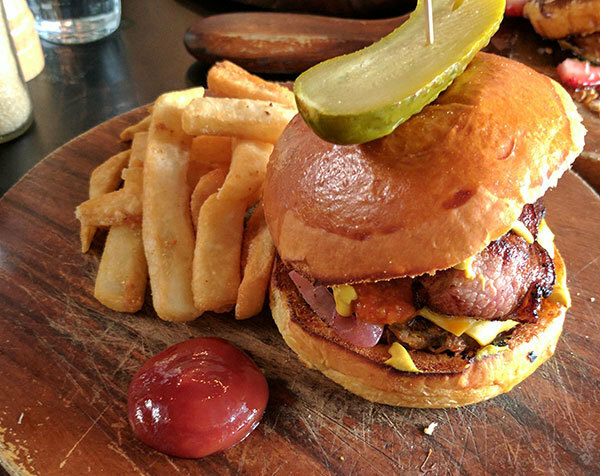 It also comes with hickory smoked bacon (if you like your meat, this is yours) and a side of fries, ketchup and a chunky pickle. The Nutella French Toast ($18.50) was on the specials menu and didn't disappoint. This would definitely be popular for people with a sweet tooth. 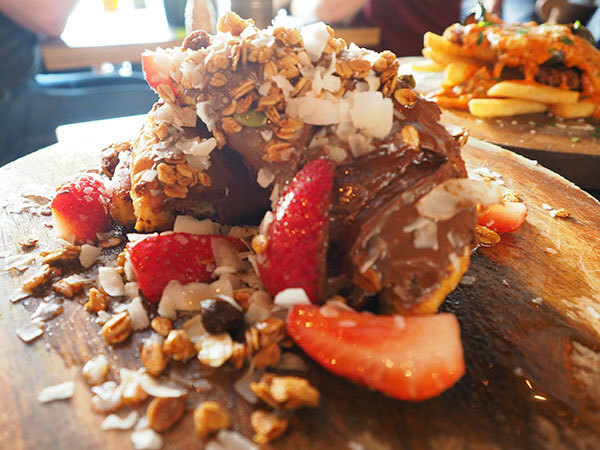 Our slices of bread were topped with generous amounts of Nutella, muesli for crunch and strawberry slices for added flavour. There's so much on the Contessa Balmain menu that it's hard to decide if you want to go light with organic eggs from the breakfast menu (like the Hawkesbury Free Range Eggs for $10.50, made scrambled, poached or fried) or the hearty Spaghetti and Meatballs ($19.50), made with Italian meatballs and linguine (both made in-house) and tomato sauce, from the lunch menu. Whatever you fancy, you'll find something just right for you.